HACCP International certification is a globally recognised. Flowfresh also meets the ISO 22196 standard. A Flowfresh coating can be laid to falls. The floor plays a crucial role in addressing contamination risks, as an inadequate floor can become a prime site of bacteria build-up. Not only does the floor have to provide a hygienic surface, it needs to do so in the face of corrosive chemicals, moisture, impacts and thermal shock. If it cannot withstand these conditions then the floor can quickly fail – leading to germs and pathogens infiltrating hard to clean cracks. The importance of installing building materials that minimise contamination and the consequent risk of foodborne illnesses was highlighted in the Food Standards Agency’s (FSA) Annual Report of Incidents 2015. 1,645 contamination incidents were investigated and microbiological contamination accounted for nearly a quarter of them. The costs of these incidents are significant. Not only could a foodborne illness outbreak lead to serious financial and reputational damage for the producer – but every year the FSA estimates that nearly a million people in the UK are affected, with a net cost to the country of £1.5 billion. HACCP guidelines state that a seamless and impervious finish must be maintained at all times, even when subjected to a large-scale food processing facility’s intense working environment. Flowfresh has been specifically formulated to provide a surface that will comply with food industry regulations for an extended period of time despite the sector’s inherently challenging conditions. 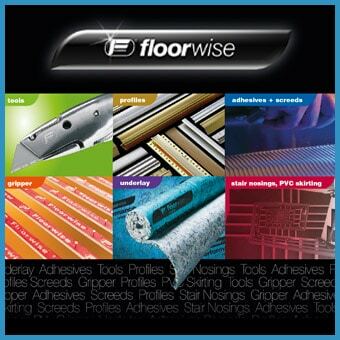 Mr Adamson added: “To provide food manufacturers with a floor that goes above and beyond the highest food safety standards, we’ve created Flowfresh out of an exclusive global partnership with the antimicrobials manufacturer Polygiene®. The Polygiene® agent is homogenously distributed throughout the Flowfresh finish. This formulation means that physical damage to the coating won’t create a safe haven for contaminants that’s out of reach of the bacteria killing flooring ingredient. Flowfresh has also been proven to meet the ISO 22196 standard, which measures a surface’s antibacterial effectiveness on plastics and other non-porous surfaces. The polyurethane system underwent rigorous testing to show that it complied with this internationally recognised benchmark. To meet the HACCP International standard, floors also need to allow for adequate drainage and cleaning. A Flowfresh coating can be laid to falls and incorporate stainless steel drainage to quickly channel contaminants and excess liquid out of the area. Coving can also be incorporated to create a seamless, easily cleanable transition to the wall and even the floor’s texture can be tailored to best suit the cleaning regime. A seamless, high performance polyurethane finish will also prevent common food industry by-products like fats, acids, blood and oils from seeping into the underlying concrete and damaging the substrate. Get in touch with your local Flowcrete representative today to find out more about how Flowfresh can help food and beverage facilities meet regulatory requirements and protect against the threat of bacterial contamination.